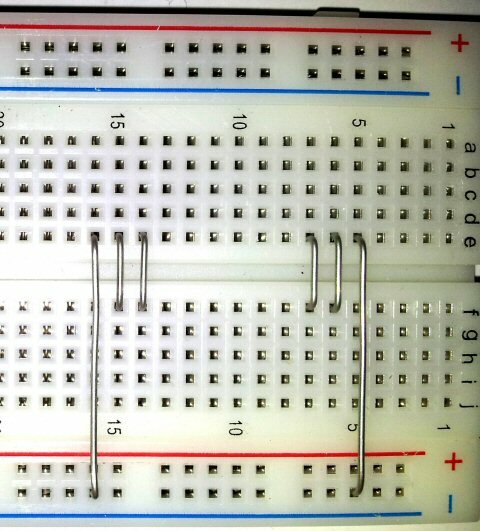 This is the part where you get to build your circuit onto a solderless breadboard. If you follow the steps below carefully and make sure that you check to make sure everything is where it should be and in the correct way around then it should work for you. 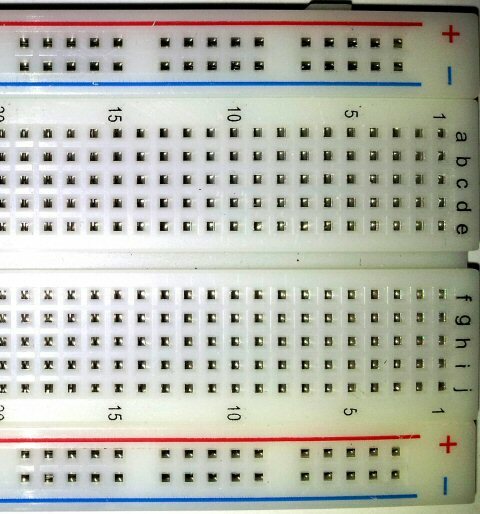 Start here with a nice shiny clean solderless breadboard. Cut some solid connecting wire to length and insert into the holes in the board as shown here. I used bare 0.7mm (1/32" or 0.0276") (21 AWG/22 SWG) tinned copper wire but you can use insulated wire of the same diameter. Cut to length and strip the insulation from both ends and it will work just the same. Transistors have 3 legs and come in different packages. 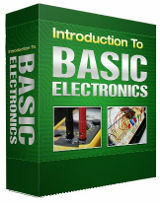 Most general purpose bipolar junction transistors (BJT) will work in this circuit but you must make sure that you insert the leads in the correct positions. Make sure that the Emitter leads of both transistors are on the outside of the board, the Base leads next and the Collector leads innermost. 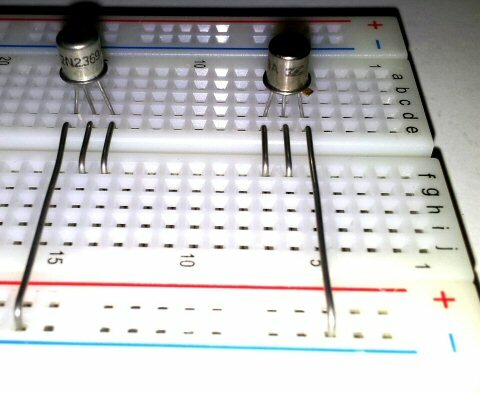 You may have noticed that this circuit is a mirror image down the middle. 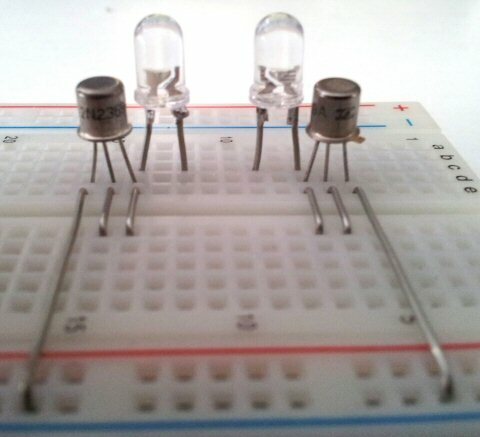 Insert the LEDs as shown in the picture. Notice that the larger internal metal electrode is the negative side of the LED and should be connected to the collector of the respective transistor.